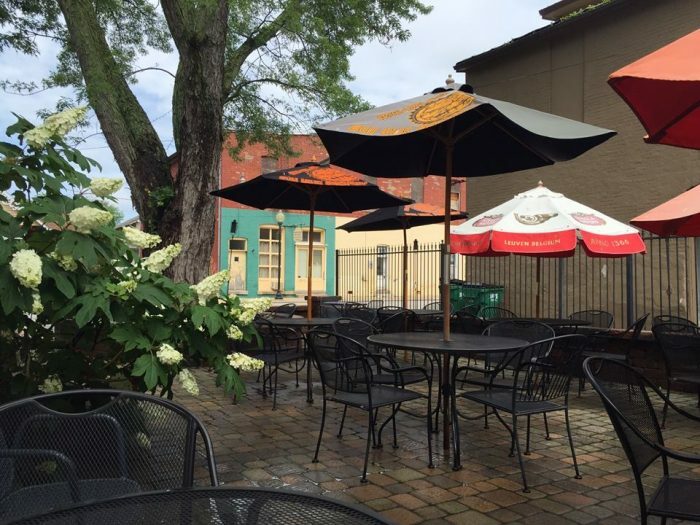 There’s just something magical about outdoor dining. Whether it’s a balcony, deck, patio, or rooftop, outdoor dining brings your trip to a restaurant to the next level. 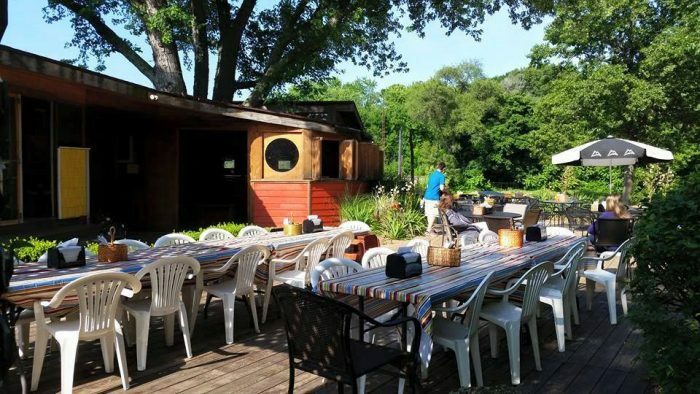 In Indiana, we’re lucky to have some really amazing outdoor dining places to choose from, and these 12 are bound to deliver the magical experience you’ve been looking for. 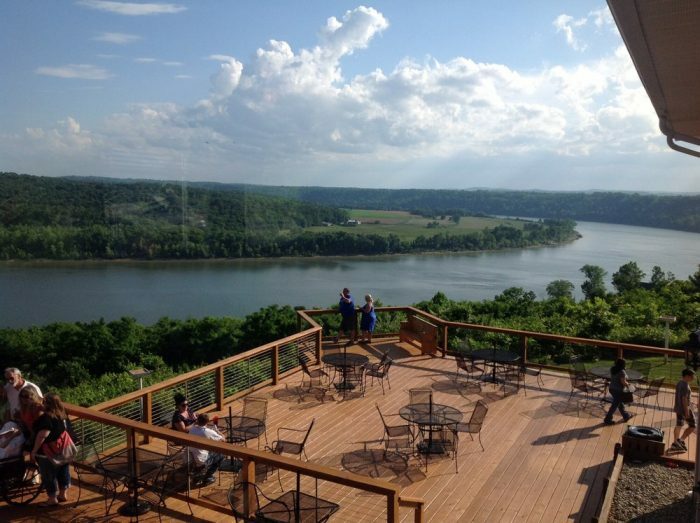 If you're looking for comfort food with an unbeatable view, you can't find any better than Overlook Restaurant. 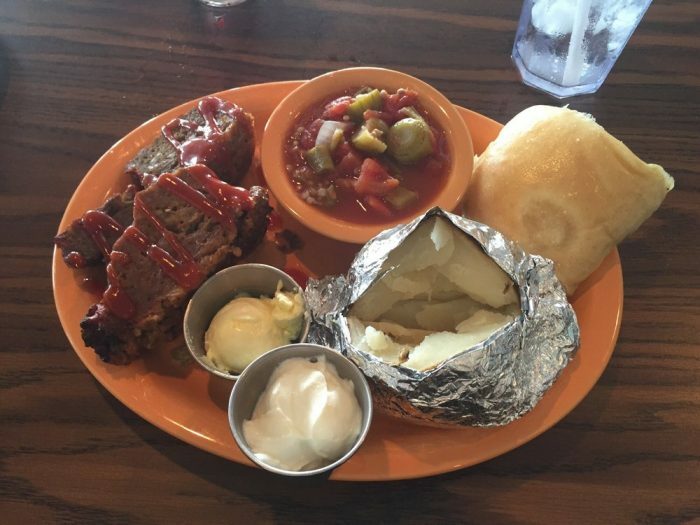 From fried chicken to meatloaf, you'll find all your favorite home cooked meals on this menu. Just save room for their highly reviewed cobbler! 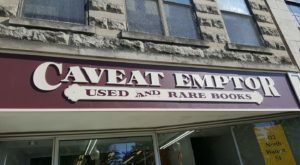 Check them out at 1153 Indiana 62 Leavenworth, IN 47137. What's the only thing better than hot, fresh pizza? Hot, fresh pizza with a gorgeous view, of course! 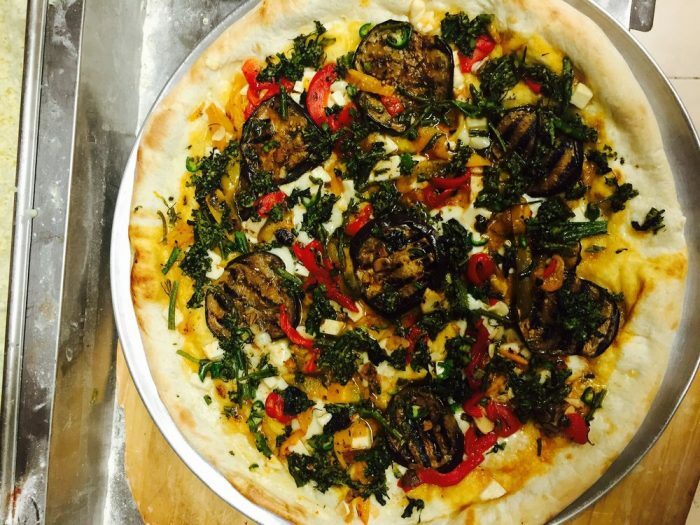 Perillo's Pizzeria is a local gem with fantastic Italian cuisine. 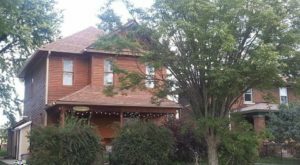 You can find this local haunt at 5 S Broadway St, North Salem, IN 46165. 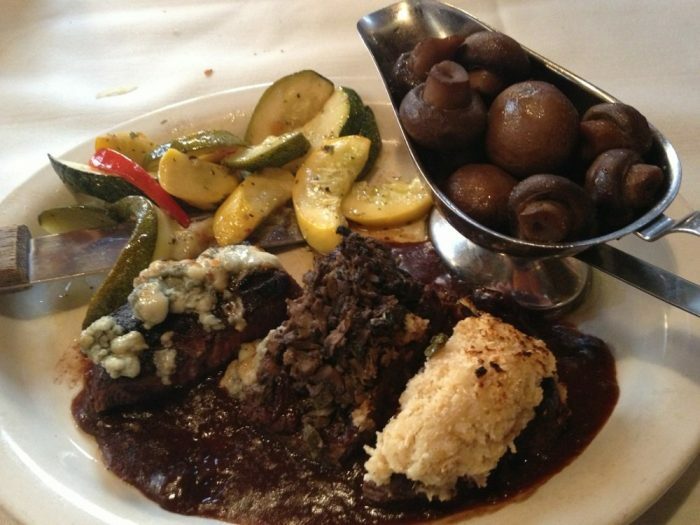 Just try eating once at Don Hall's Old Gas House and not going back again and again. 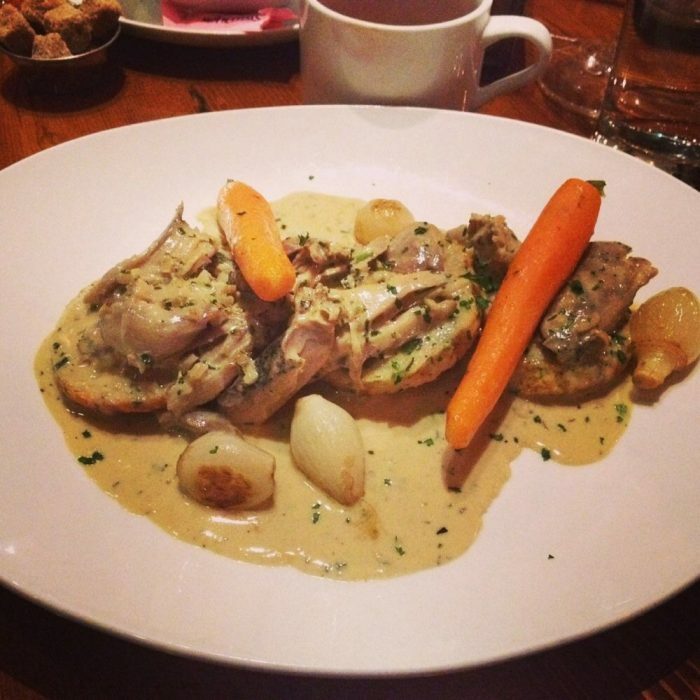 This American food restaurant delivers big time on service, ambiance, and food. 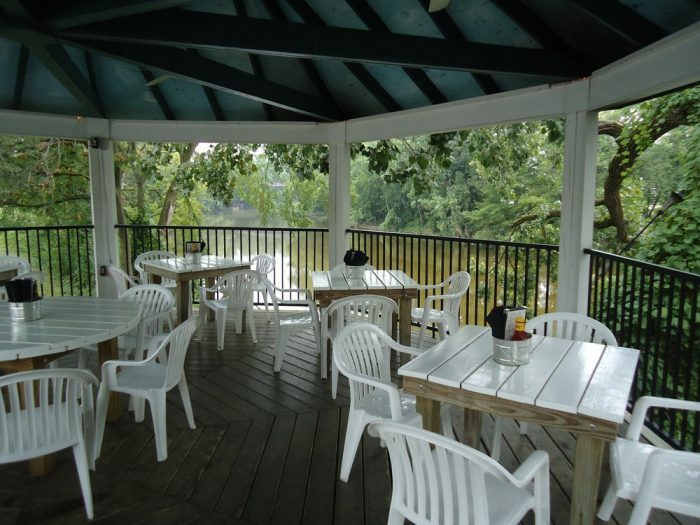 The views from the deck or gazebo on the river are both stunning, as well. Their drinks are also extremely popular. 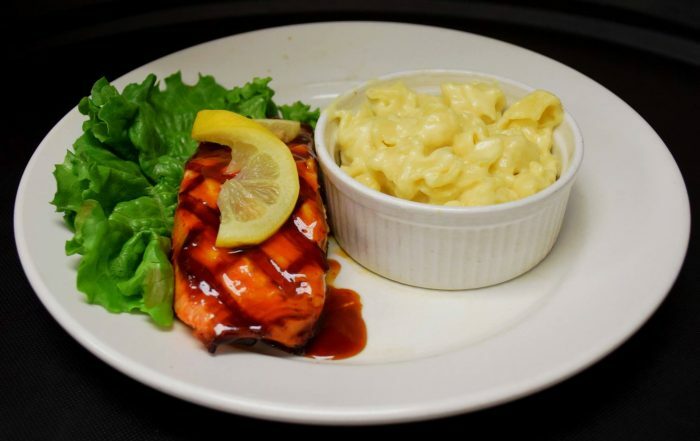 Taste them at 305 E Superior St, Fort Wayne, IN 46802. 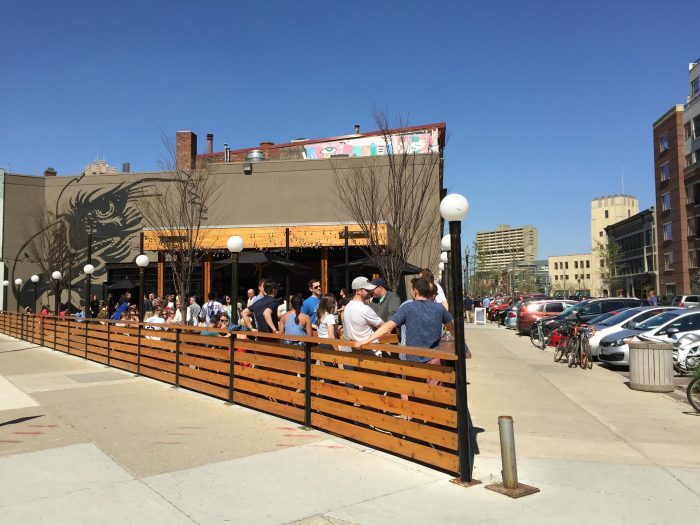 One of the most popular places to open in 2015 is The Eagle on Mass Ave in downtown Indianapolis. 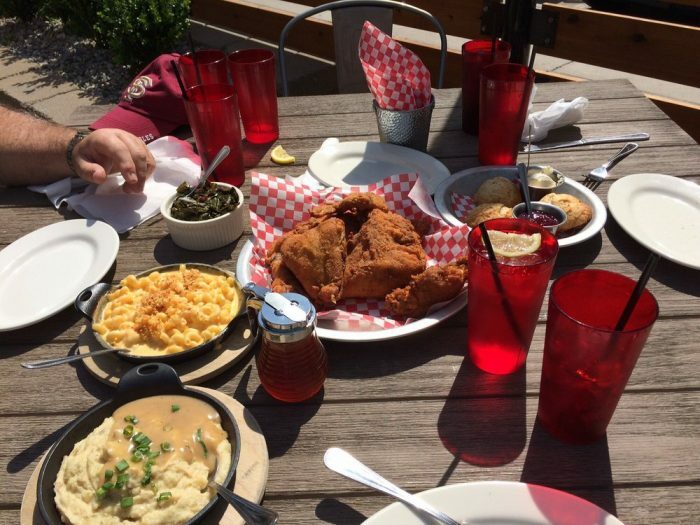 Serving up all natural, free range fried chicken with sides like spoonbread and mac and cheese, The Eagle has become an instant hit in Indy. 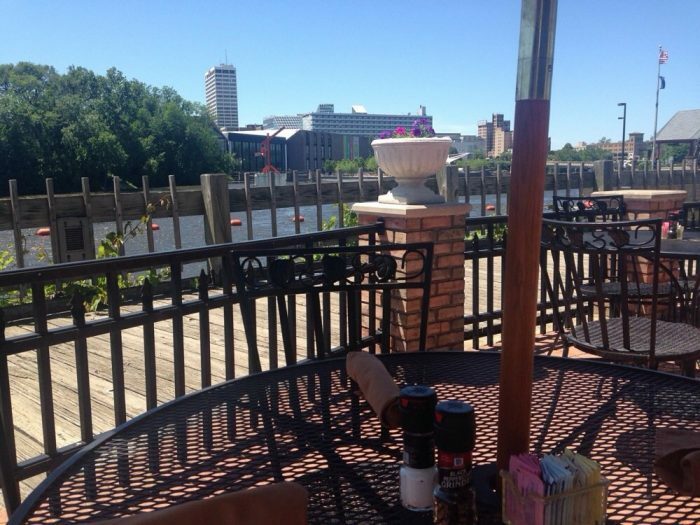 Their outdoor dining area is huge and offers such a pretty view of the city. 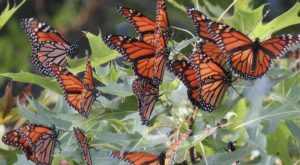 Try them out at 310 Massachusetts Ave, Indianapolis, IN 46204. 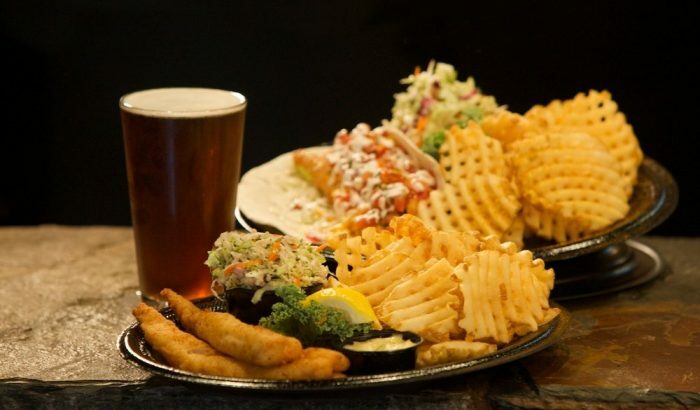 Fish tacos, oysters, mahi mahi and waffle fries? 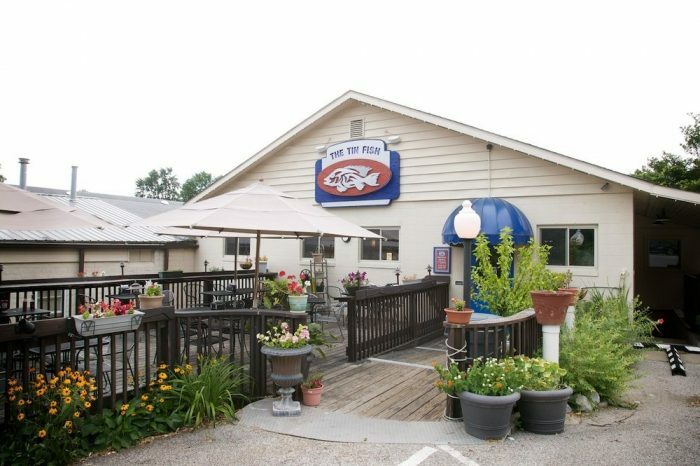 This amazing fish taco joint is located along the Ohio River and offers a fantastic outdoor view that pairs perfectly with their shockingly delicious food. You have to visit them at 300 W Jennings St, Newburgh, IN 47630. 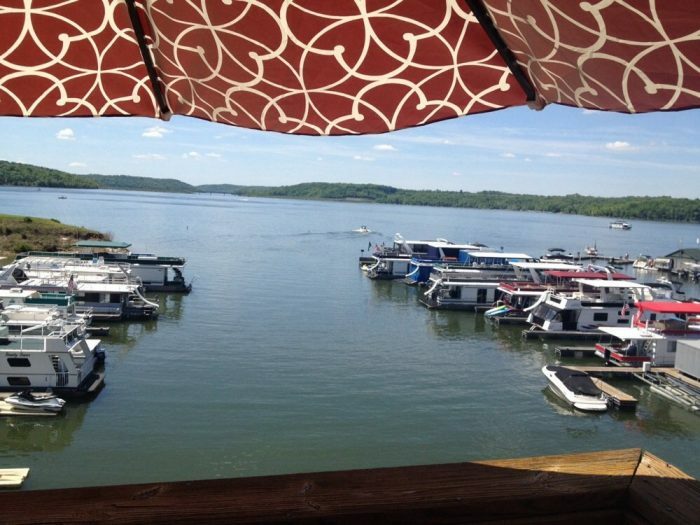 Overlooking the Brookville Lake, Ainsley's Cafe is a fantastic spot to enjoy a warm summer's day. 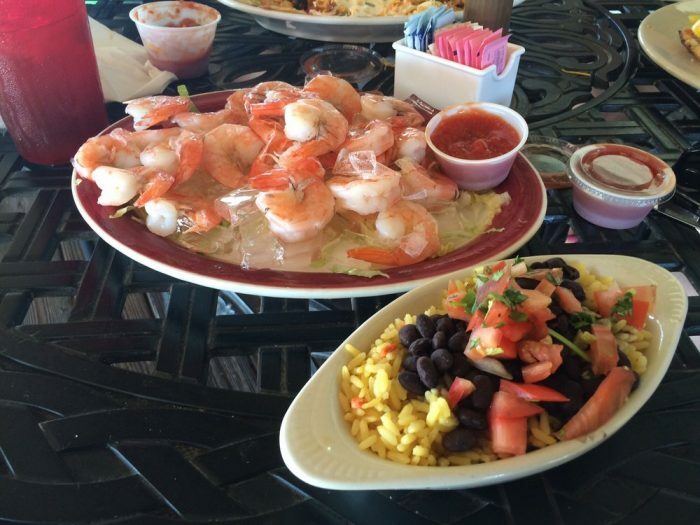 They offer traditional American dishes, with a lot of seafood options, like shrimp, seafood fettuccine, and orange roughy. 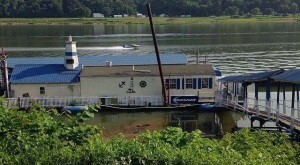 For a great day out on the lake, you have to check out Ainsley's at 15179 Old State Rd 101, Liberty, IN 47353. Rails is an amazing place in Seymour, Indiana. 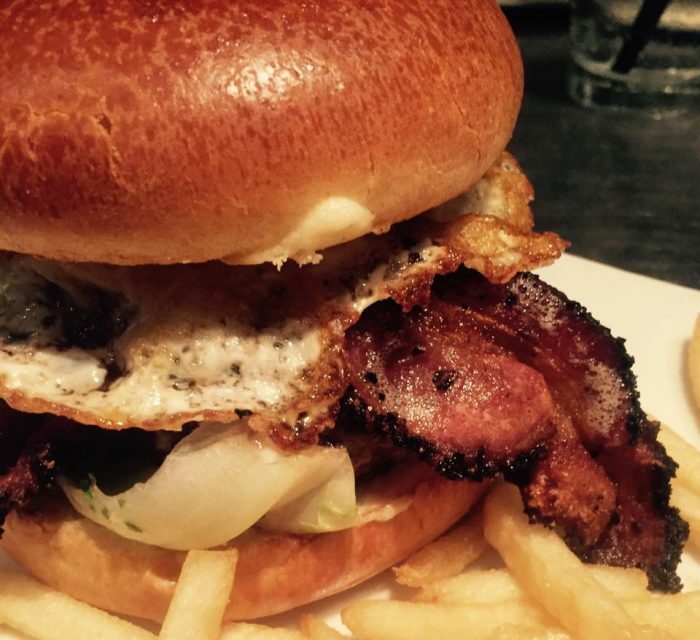 With awesome burgers, sandwiches, seafood, pasta, and so much more, Rails is a welcome addition to the area. 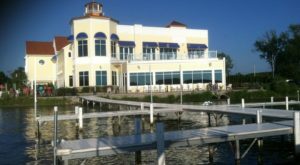 While their inside is gorgeous and worth checking out, you have to eat outside at least once to fully appreciate the magic of this place. Chow down at 110 St Louis Ave, Seymour, IN 47274. 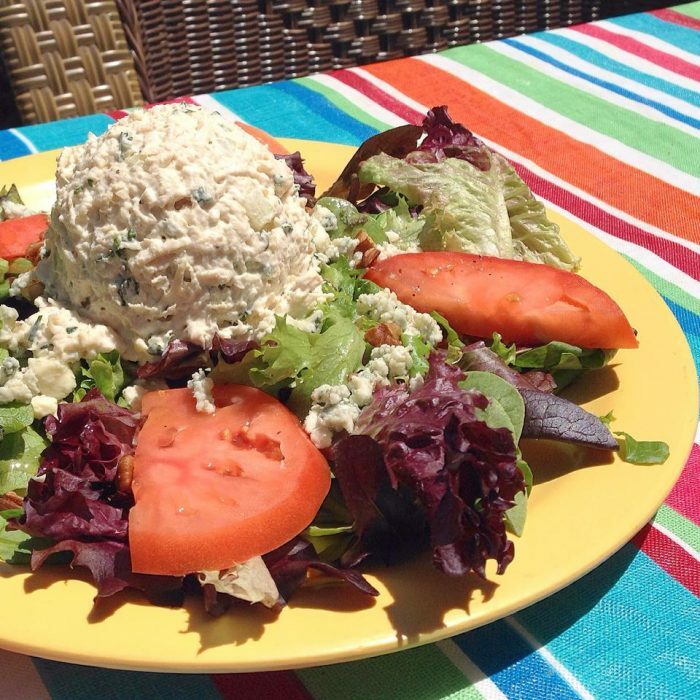 Take your outdoor dining experience to the next level at Tree House Cafe in Michigan City. Tree House has amazing food, a fantastic outdoor eating area, and even has activities to keep you entertained. Enjoy live music, play some volleyball, whiffle ball, ping pong, and much more at 3103 U.S. 12, Michigan City, IN 46360. 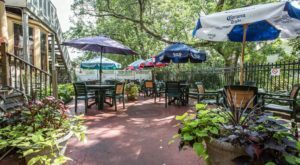 Red Seven Bar & Grill is a great place to grab a bite in Lafayette. 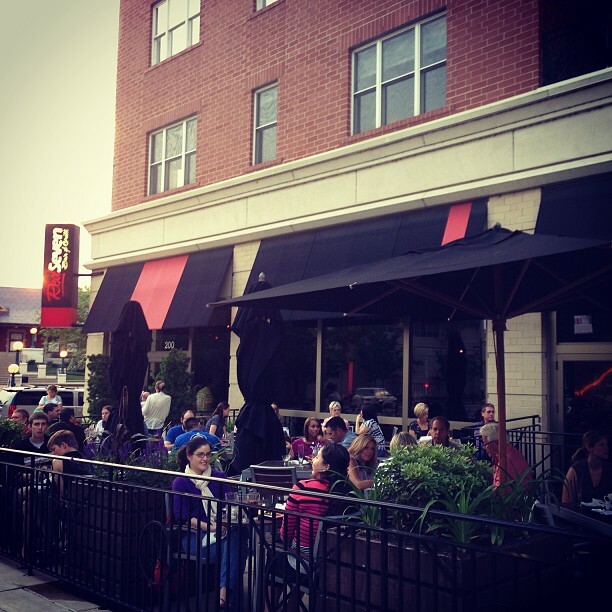 With a great drink menu and perfect patio area, Red Seven makes for a fun night out with friends or someone special. 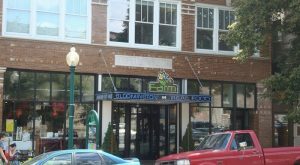 Try them at 200 Main St, Lafayette, IN 47901. Late Harvest in northern Indianapolis is a unique restaurant, offering rabbit biscuits and gravy, North African vegetable tagine, and fries with bone marrow, butter, and jalapeños. 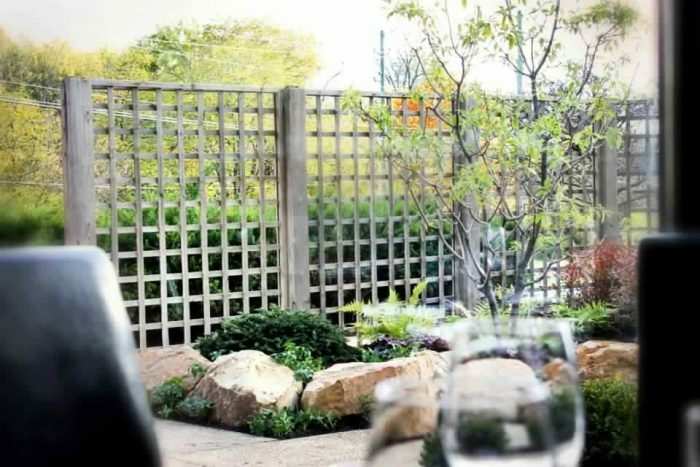 The outdoor patio is exquisite, with a fire pit, fountain, and stunning ivy. Visit them at 8605 River Crossing, Indianapolis, IN 46240. Artists Colony Inn & Restaurant is famous in downtown Nashville. Guests can eat out on the dining area on the porch to better take in the gorgeous sites of Nashville. 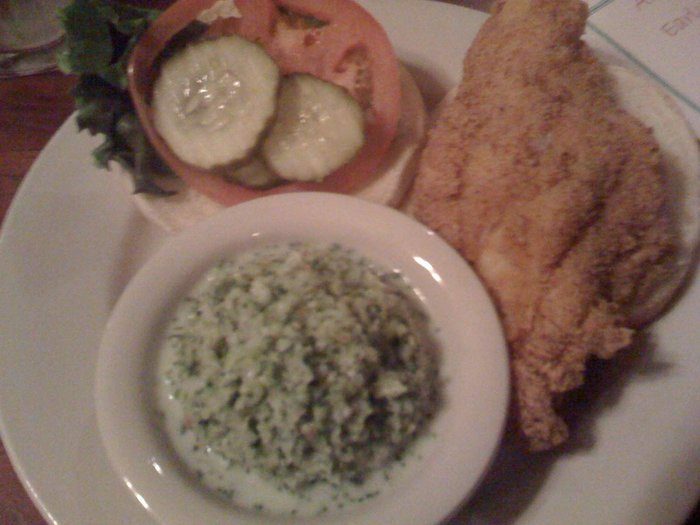 You'll also get great food and service here - try the catfish or famous tenderloin! 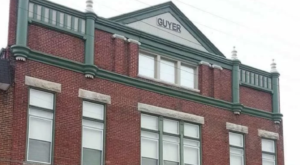 Check it out at 105 S Van Buren St, Nashville, IN 47448. 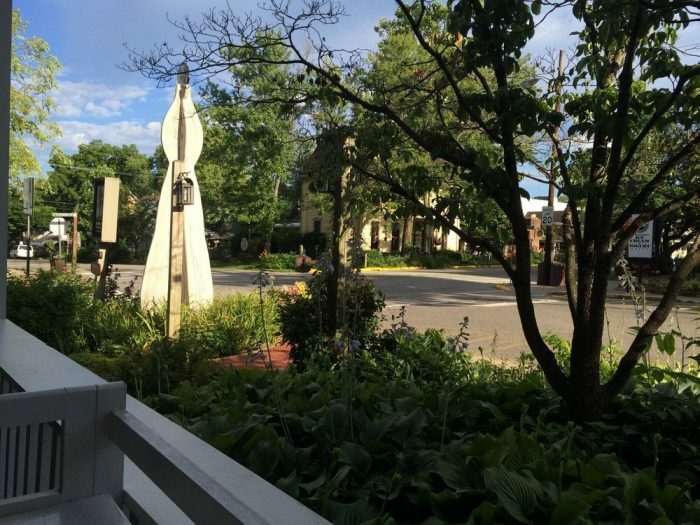 Emporium Restaurant offers a killer view for diners who opt to sit outside. 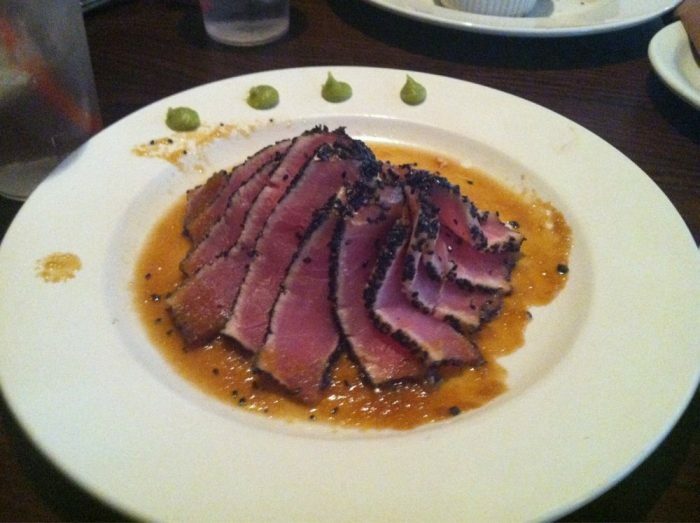 Along with this stellar view is a menu of American fare sure to please and fantastic customer service. Visit them at 121 S Niles Ave #3, South Bend, IN 46617. 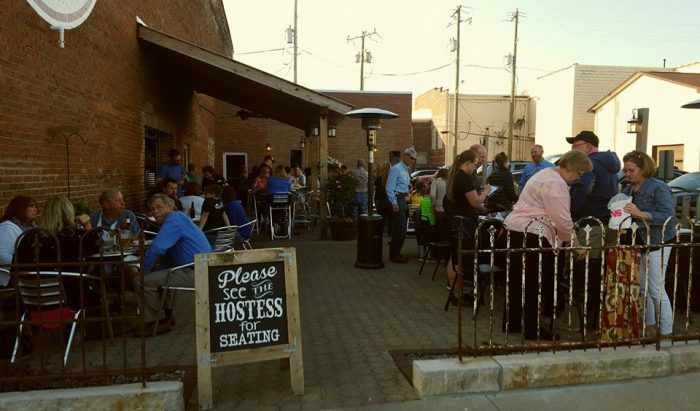 Who’s ready for some awesome outdoor dining this summer? How many of these restaurants have you been to? Which is your favorite?